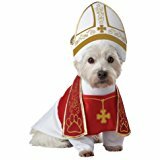 These pet costumes will have your Miniature Schnauzer outfitted in style for every occasion. 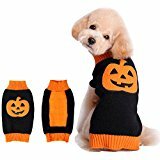 Whether you're looking for a Halloween costume, a Christmas dog suit, or just some funny dog clothes to take those special pictures of your Schnauzer. 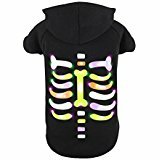 You know your Schnauzer wants to be included in the family fun and having a dog outfit for Halloween can really add that extra special touch to your Halloween night or other special event. 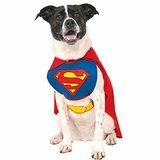 Just look at some of these funny dog outfits: Darth Vader, Elvis the Rock star, the Prison Dog, The Bride, The Groom, Pirate Dog, Batman & Superman outfits, School puppy & more! note: For our feline friends, many of the dog costumes will fit your cat too (in the small or extra small sizes). 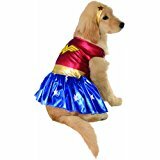 The dog outfits shown below are just a sample of the great pet costumes available to buy online. For those DIY visitors, perhaps browsing through the outfits will inspire you to create something similar from scratch. 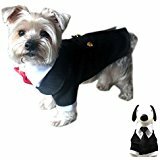 AMAZON has a great selection of outfits for your dog and the rest of your family, too. 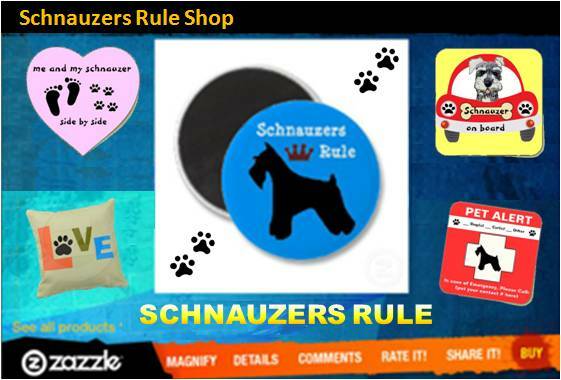 You're sure to find one perfect for your Mini Schnauzer this year. 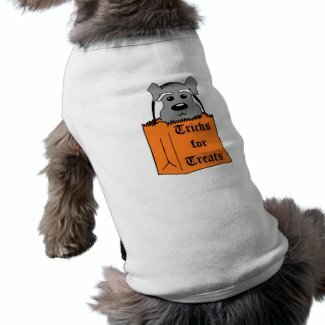 If you can't afford to buy an outfit for your Schnauzer this Halloween or just like creating something from scratch, try making a costume for your dog. Create an outfit by recycling an old dog shirt, sweater or jacket. Simply sew on or attach Halloween themed pieces to create a one-of-a-kind outfit. This is a great project for the kids. Make a Ghost outfit from a pillow case. Just cut out holes for the eyes. Or make a prisoner outfit by adding strips of black electrical tape to it. Recycle the materials from an old child's costume. If your Schnauzer doesn't like wearing any clothes at all, don't despair. You can still have him dressed for the holiday with a holiday-themed bandana. You can make one quite easily with a 14 inch square piece of fabric. Fold the square in half diagonally. Then cut in half to form 2 triangles. You can sew the 2 pieces together for a nice finish that will last or you can just use one piece for the night and then throw away. Use magic markers and glitter pens to draw any spooky designs you like and that's it. It really is easy to make your Mini Schnauzer a really great costume. So give it try. You are only limited by your imagination. Note: Always be sure your dog is comfortable and safe in their costumes. Never force your Schnauzer to put on outfits. Also be sure all the materials you are using in your outfit are safe and non-toxic to animals. Have you made any outfits for your Mini Schnauzer? If so, share your pet projects with us here!